Fortunately, the complication rate from spay/neuter surgery is very low. However, should there be a problem with an animal after surgery, please contact the clinic. 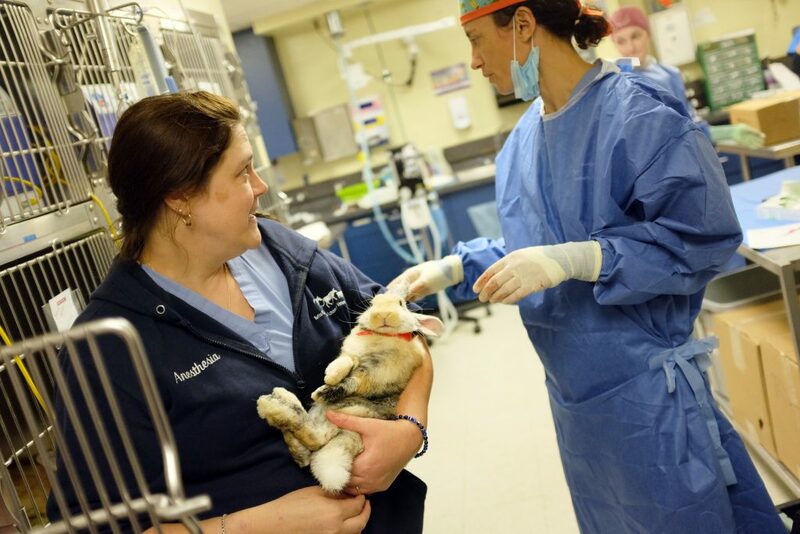 Medical assistance is available 24 hours a day by calling the Foster Hospital for Small Animals emergency service at 508-839-5395. Any complications that result due to surgery or anesthesia will be taken care of at our expense, if the animal is brought back to our hospital. However, we are not responsible for medical costs that occur as a result of pre-existing conditions or contagious disease. Fortunately, most complications are very minor and can be resolved by a phone call or out-patient visit. Should an animal show signs of being seriously ill (vomiting, not eating, unable to rest or get comfortable or being extremely lethargic), he or she should been seen right way. 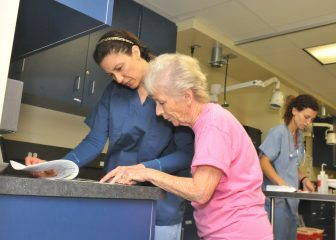 After-care is important in preventing complications. Animals must be watched carefully and kept quiet for a week after surgery. Elizabethan collars are available for purchase and will prevent problems from the animal chewing or licking at its incision.